This new chic table clock is stunning. This piece is made from all-over glass and diamond like strips to create that glamorous chic look. 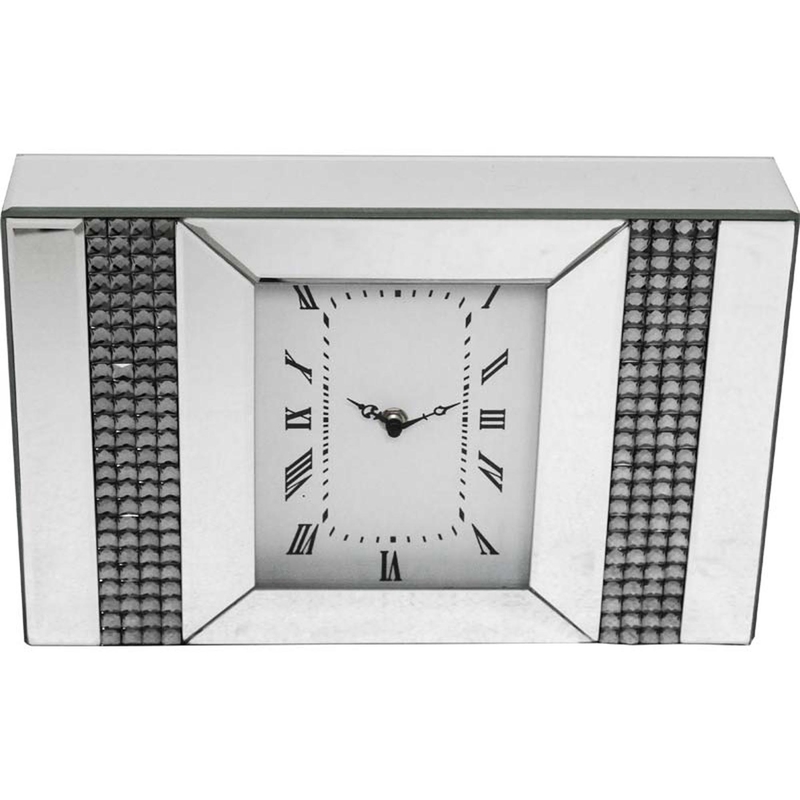 With a rectangular clock face in the middle and two rows of diamonds on either side this is the perfect item to give a room more shine. Add this luxurious table clock to your home and be ready to impress.